President Muhammadu Buhari has been urged to call former militant, Chief Government Ekpemupolo alias Tompolo, to order over alleged hijack of appointments at the Nigerian Maritime University, Okerenkoko, Delta State. 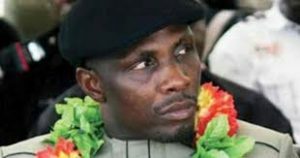 A lawyer, Demebide Pele, who expressed his displeasure at the manner appointments are being allotted to families and cronies of the ex-militant at the expense of other Nigerians when speaking to Nigerian Tribune in Warri, described Tompolo as the de facto vice chancellor of the institution. He alleged that the VC, Engr. Prof. Ongoebi Maureen Etebu is being teleguided by Tompolo on virtually all appointments being made at the institution in spite of heaps of applications belonging to applicants and dumped and gathering dust at the office of Gbaramatu Voice at Kurutie. Dembele, an Ijaw from Burutu Local Government Area of the state, said the nepotistic activities of Tompolo and his backers, if not checked now, will sabotage the chances of other qualified Nigerians for jobs at the institution established through proceeds from taxpayers. According to the chieftain of the All Progressives Congress (APC), so far, only those connected to Tompolo, his family and cronies have access to jobs at the institution. “I am compelled by my critics to give just a piece of evidence to support my argument. “I very much respect the proponents of this institution and have never said that they should not be recognised in the scheme of things, but my point is that they are not the only people that contributed to the actualization of this project. “Inasmuch as they will get their fair share, other persons should also benefit from the system; I am particularly not interested in anything but the employment should follow due process. In a situation where a particular family and/or cabal will decide those that will be employed against credibility and meritocracy is unwelcome. “As I write, the nephews, niece and lieutenant of that particular family and/or cabal have nominees. 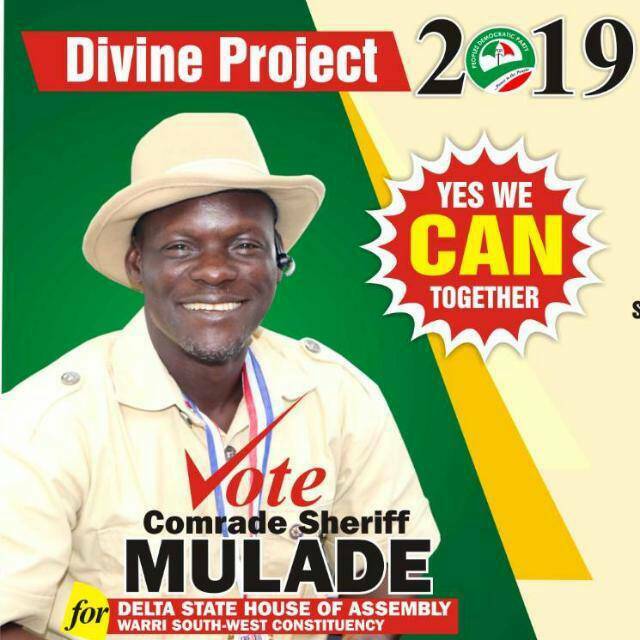 “Chief Tony Ayedi Bode has been given the contract to supply diesel, a niece of the leader of that particular family and/or cabal has been given an automatic employment. “The nephews all have their nominees at present working with the VC. Names and phone numbers of their favoured persons were given to these nominees to collect their CVs for possible employment while other credible and very qualified applicants are made to dump their CVs at the Gbaramatu Voice office. “I want to assure you, applicants, that if you are not connected to this particular family and/or cabal, your VC would be thrown into the dustbin. 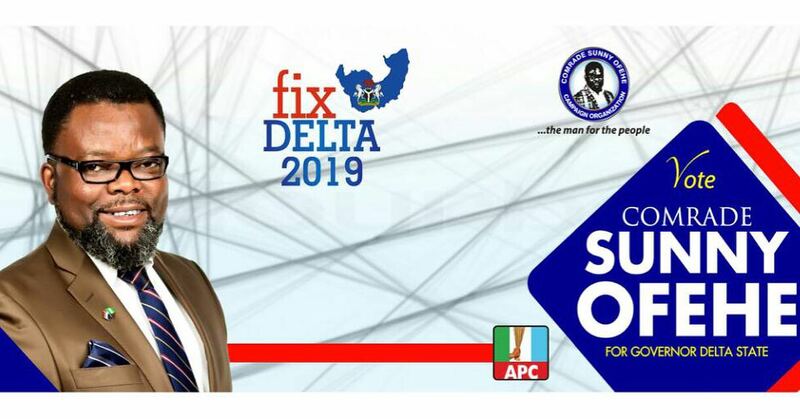 “The leader for stomach struggle in the Niger Delta region has ordered all his nephews to be at Kurutie in order to monitor the VC to employ all their relatives both qualified and unqualified as non-academic staff against credibility and meritocracy,” he alleged. Dembele, who hinted that frantic efforts are being made to silence him, called on President Buhari to look into a situation “where a particular family in Kurutie/Gbaramatu wants to pocket the institution,” warning that such would strongly be resisted. “Any list submitted by any particular family against credibility and qualifications would be resisted. “Nobody will make his brother or sister a ghost worker in the institution because so many qualified Ijaw and kurutie graduates and non-graduates have applied to work there. “This one will not be another immigration job. I encourage everybody to put their eyes on the affairs surrounding that institution,” the lawyer-activist pleaded. Meanwhile, even though aides of Tompolo could not be reached as of the time of filing this report, other credible sources confided in Nigerian Tribune that other ethnic nationalities including other Ijaw stocks in the state and region are already disenchanted with the overbearing attitude of Tompolo as regards job appointments in the institution. It will be recalled that the Vice Chancellor of NMU, Engr. Prof. Ongoebi Maureen Etebu had earlier announced that academic activities would commence in mid-April 2018. He added that about 1, 300 prospective academic staff had been shortlisted from over 6, 000 applications and interviewed for recruitment.